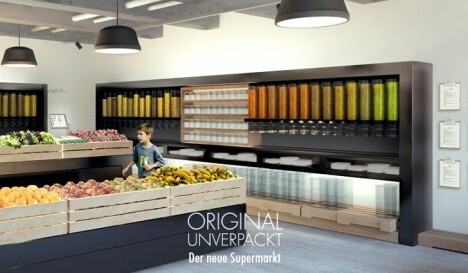 The first of its kind in the country, this German supermarket strips away wasteful packaging and sells its goods in bulk to customers who bring or borrow recycled and reusable containers. 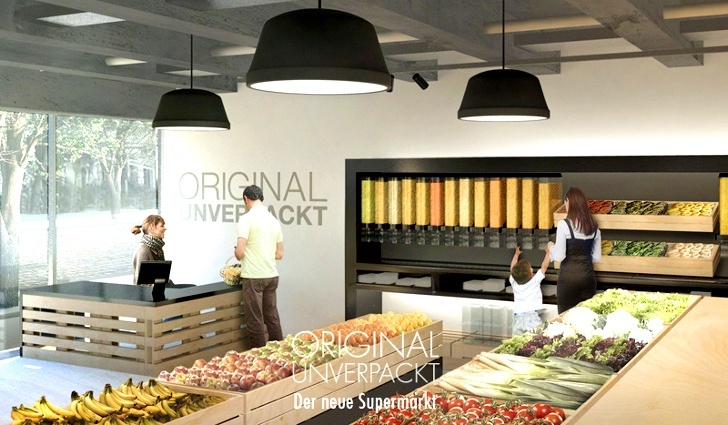 Set to open Berlin this summer, Original Unverpackt is to be the first of a series of stores using a sustainable model similar to co-ops but at a larger scale and aimed at mass market consumers. 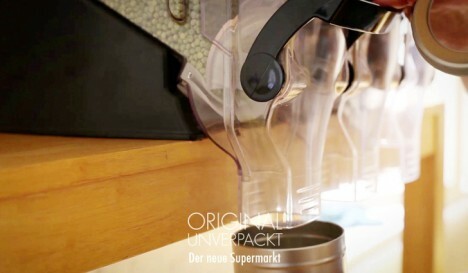 Nothing here comes in a disposable box, bag, jar – nothing is shrink-wrapped or tetra-packed. Bulk and gravity bins dot the isles and hang from the walls. Even beverage stations use refillable bottles. Keeping the experience minimal and easy, creators Sara Wolf and Milena Glimbovski are offering just one variety of each product type, reducing choice fatigue and focusing on quality and simplicity. 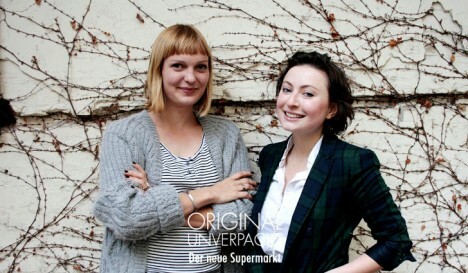 Having crowdfunded over 100,000 Euros to start things out, the supermarket is tackling a 16-million-ton waste problem (just in Germany) but ultimately aims to make a global impact as well, changing the way consumers think about shopping and sustainability.